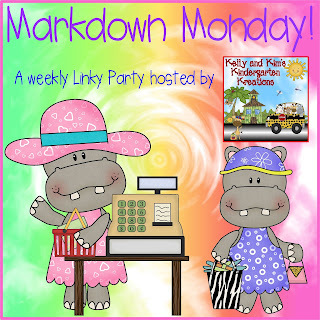 like to "markdown" until Sunday, July 3rd. 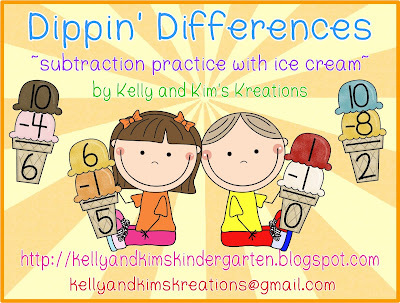 This week we are featuring our newest creation, Dippin’ Differences! 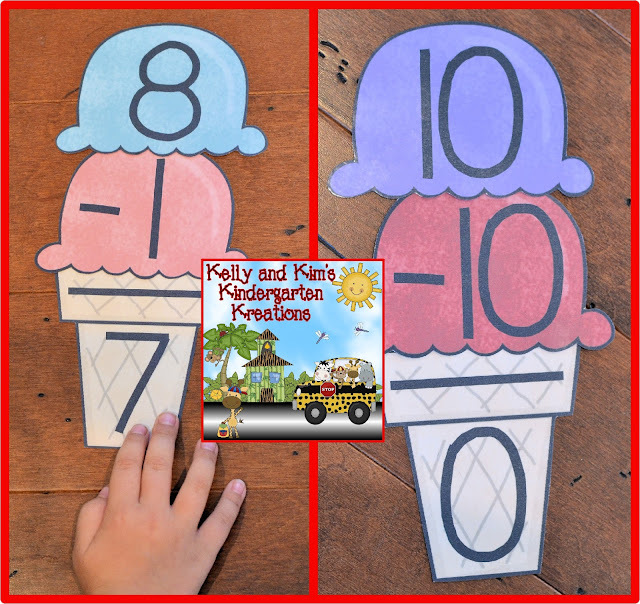 This is a great summer-themed way for your students to practice their basic subtraction facts from 0 to 10! 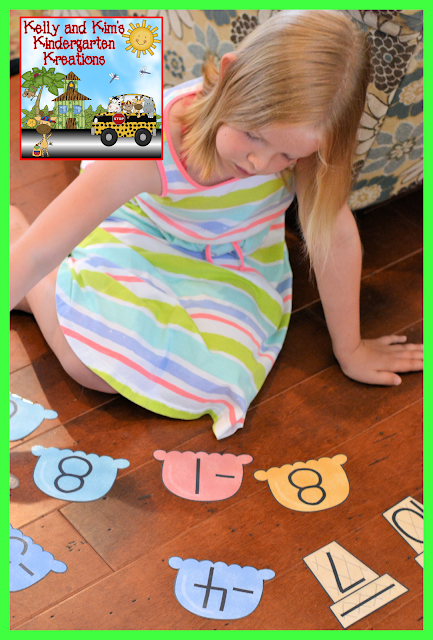 It is a fun, one-time prep subtraction center for your classroom. 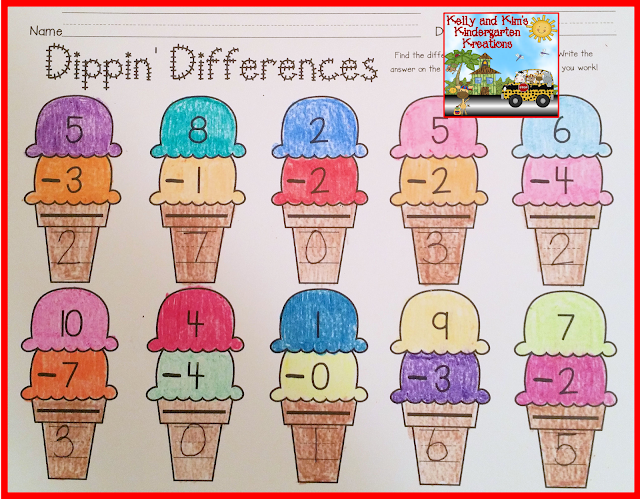 This activity pack includes 66 pages of ice cream scoops and ice cream cones to create math facts. We split the facts up into several different bags (centers) so the children aren't overwhelmed by the number of pieces. We first have them lay all the cones out so they can see the differences that they will need to build equations for. Next, they will look at all of the scoops and start working. We encourage our children to use manipulatives of their choice if they are needed. We are always impressed by their ability to work through the equations, even without manipulatives. Children can use these materials as a whole group, in small groups, or at a cooperative or independent math center. We have also included 3 different recording sheets, an individual assessment, and ideas for differentiation. We hope you enjoy this new ice cream themed center! 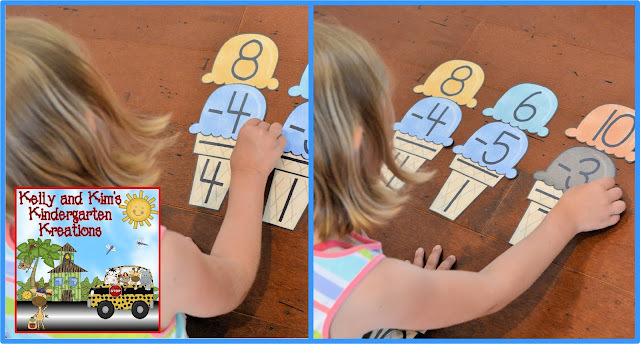 It is a great way to help your children learn their subtraction facts! like to "markdown" until Sunday, June 26th. Included are picture cards for each letter of the alphabet, it ends up equaling over 400 words! We have also included cards for four digraphs as well. 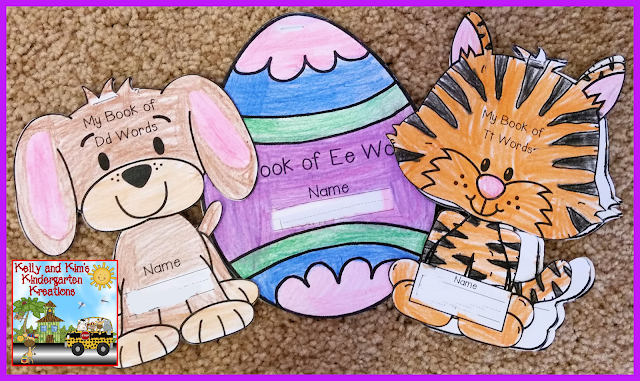 Each card has a colorful illustration and written word to match. 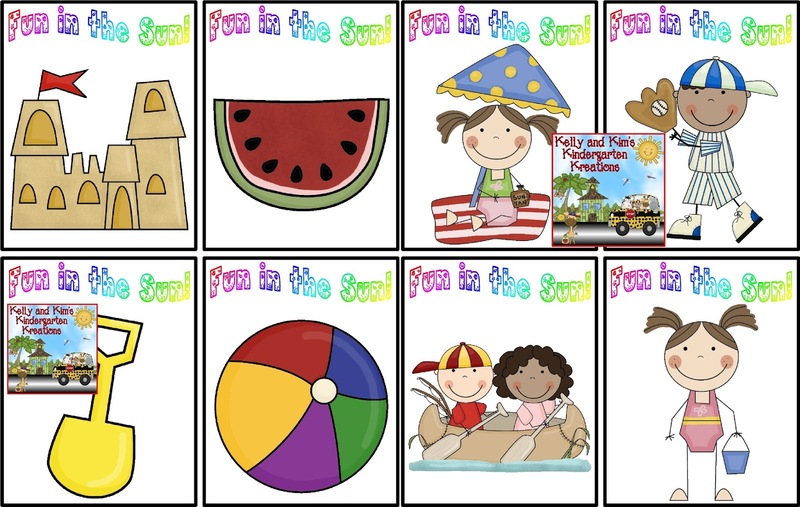 These cards can be used to help your students to work on so many skills. 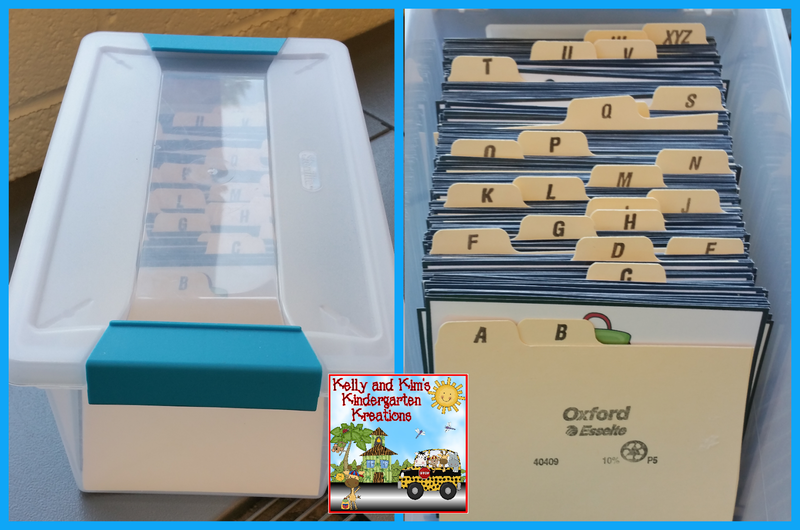 We use them during our letter of the week activities and they help to develop drawing, writing, vocabulary, understanding of beginning sounds, decoding, etc. We have included a variety of words and pictures in this huge pack! Among them are sports, numbers, household items, colors, vehicles, and much more. 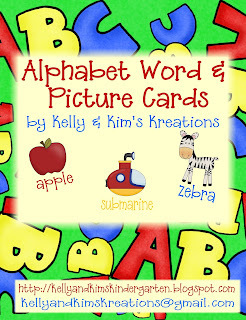 We like to use these cards in our classrooms to complete an alphabet book to go along with the letter we are learning about for the week. You can find these Awesome Alphabet Books in our store here. The children love completing them every week! Have a great week!! Thanks for stopping by! like to "markdown" until Sunday, June 18th. Bingo! Bingo! Everybody loves to play bingo! 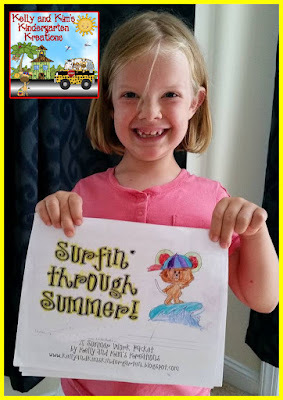 Fun in the Sun is no exception! We have included 30 calling cards and 28 player boards. Just like any game of bingo you can decide how to play: five across, five down, five diagonal, four corners, etc. We like to change up the "calling" by sometimes giving the children the description to see if they know the vocabulary being used, and sometimes we only show the picture without telling what it is to practice visual discrimination. 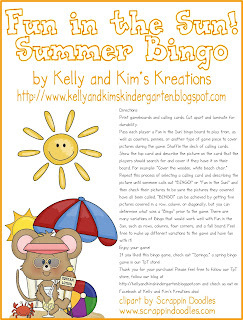 Fun in the Sun Summer Bingo is great for school, day camp, scouts, daycare, and so much more! 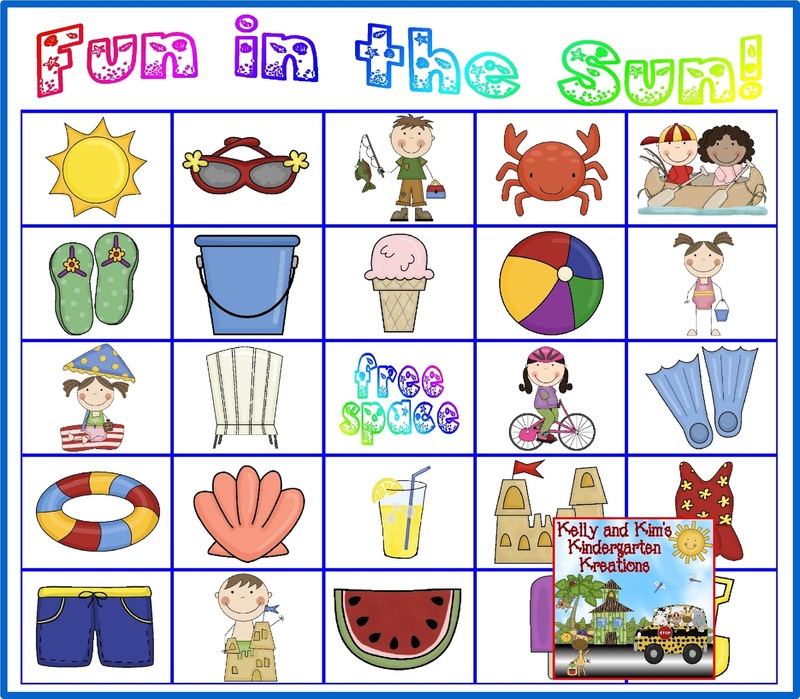 We hope you have a lot of fun playing Fun in the Sun bingo!! Thanks for visiting us again this week. 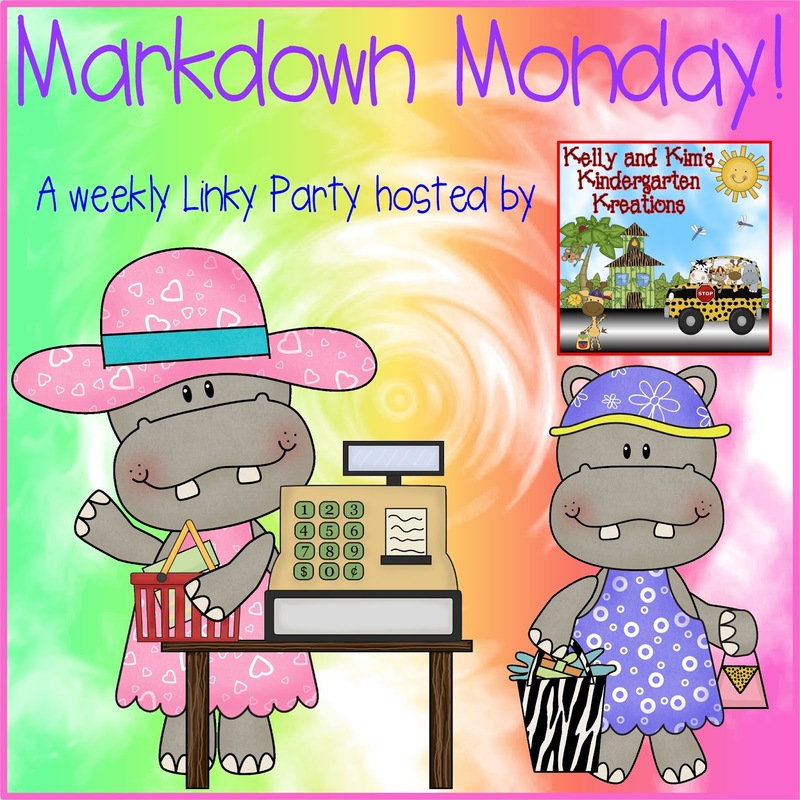 like to "markdown" until Sunday, June 12th. 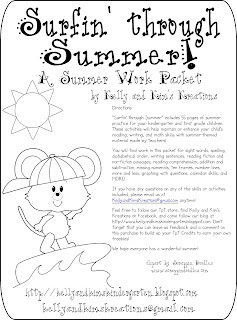 Do you want your students to keep learning and practicing their skills throughout the summer? If so, you are in luck! We are offering our Surfin' through Summer pack to all of you at half price this week!! There are 55 pages included in this pack. 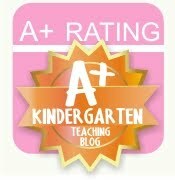 We have made these pages for kindergarten and first grade children. We have included many skills in this pack. Among them are: sight words, spelling, reading, writing, addition, subtraction, calendars skills, etc. We encourage our children to bring the finished packet back to us the following school year. We will then reward them with some kind of prize. Look how proud she is!! She is ready for 1st grade! We hope you all have a great week!!! Thanks for stopping by!